In today’s post: The new Disney MaxPass app is super convenient, but is it worth the money? Find out whether to invest in Disneyland Maxpass on your next trip. Going on a Disneyland vacation can be absolutely magical, but standing in long lines almost never is! For years we’ve been using Fast Passes to bypass the lines of Disney’s most popular rides, but last year Disney introduced a new system for getting Fast Passes. It’s called the MaxPass, and it’s an app that you access right from your phone. 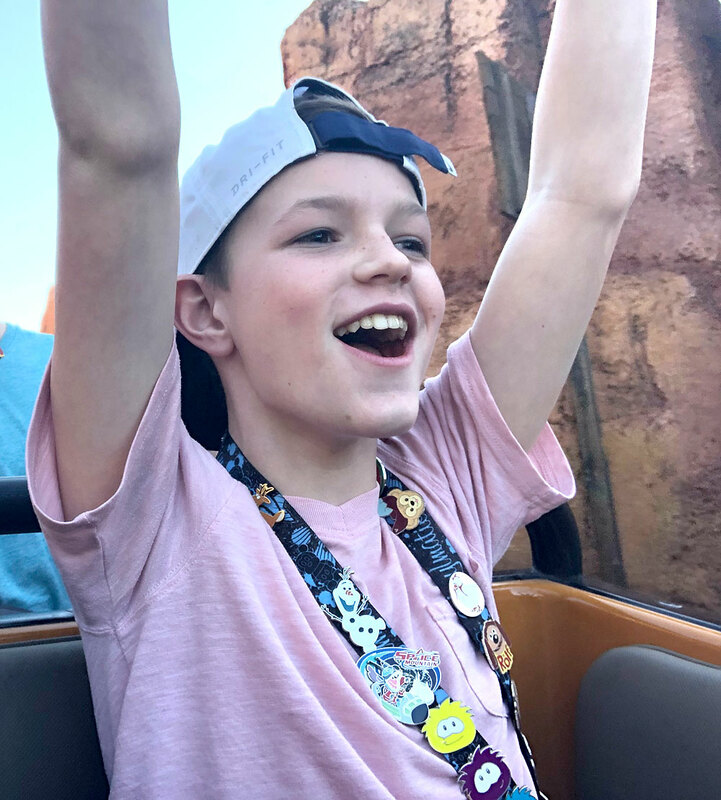 It has a lot of benefits – no more running across back and forth across the park to get your Fast Passes – but it comes with an additional cost per person per day. So is it worth it to pay even more for MaxPass after you’ve already spent hundreds of dollars for Disneyland tickets? This post should help you answer that question and tell you everything you need to know about Fast Passes and Disney MaxPass. Let’s start by talking about the difference between Fast Passes (which are free with your Disney tickets) and MaxPass (which costs extra). Getting a Fast Pass is a bit like making a reservation for a particular attraction. Your Fast Pass will give you an hour long window of time during which you can come back and ride the attraction using the Fast Pass line, which is generally MUCH faster than the normal line (which is referred to as the standby line). When you get a Fast Pass it will tell you when your return window is (ex: 10:30-11:30 am), and when you can get your next Fast Pass. Fast Passes are amazing because they can save so much time waiting in lines! On popular rides you can use a Fast Pass and walk right past a 90 minute line of people to get on the ride in about 10 minutes (sometimes even less). Paper Fast Passes are free with your admission ticket to Disneyland, so there is no extra cost associated with getting them. However, you must walk to the attraction and scan each person’s ticket to get paper Fast Passes. Remember, you likely won’t be able to use your Fast Pass right away, so you’ll want to go do something else until it’s time to come back for that ride. This means trying to get a lot of paper Fast Passes throughout your day will involve a good amount of walking back and forth through the park. 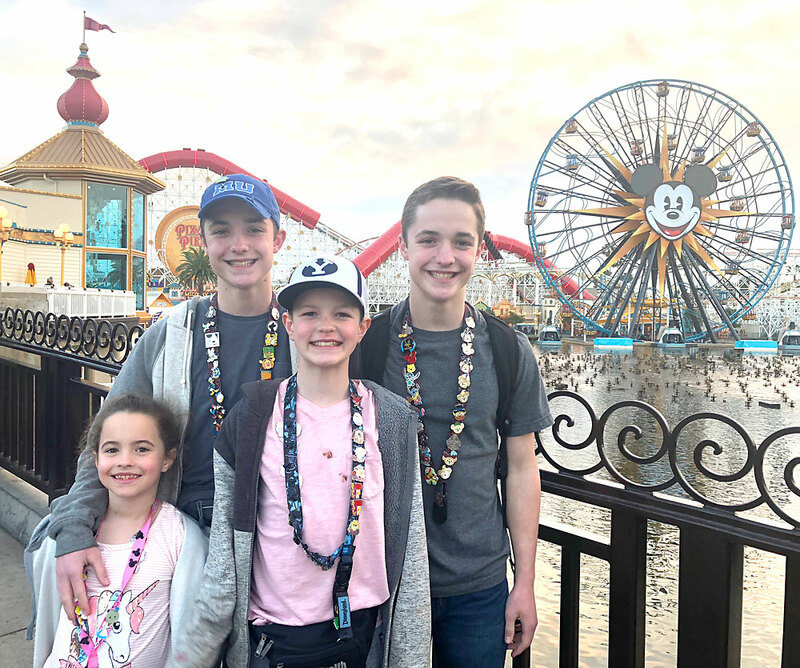 Families often split up and send a “runner” to get pick up paper Fast Passes in another area of Disneyland while the rest of the family rides other attractions. Bottom line: Getting paper Fast Passes is free and you can definitely make it work, especially if members of your party are willing to take turns being “runners” to grab your next set of Fast Passes. 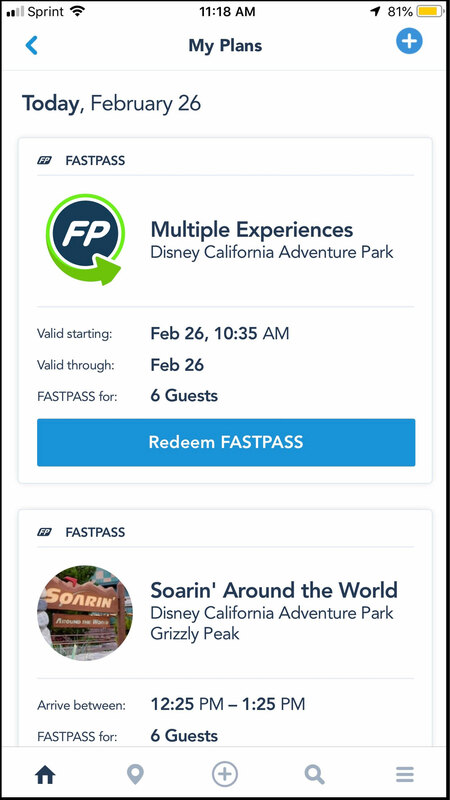 Disney MaxPass is a way to get digital Fast Passes on your phone using an app. The convenience factor of the MaxPass is HUGE because you no longer have to go to an attraction to pick up paper Fast Passes. This means you’ll spend less time walking back and forth and will likely increase the number of Fast Passes you’ll be able to get. It’s also much easier to keep track of what Fast Passes you have coming up and when you’ll be able to get another one. The kicker, of course, is the additional cost. As of March 2019, MaxPass costs an additional $15 per person per day. That cost has already gone up once (MaxPass was introduced at $10 per person per day in 2018), and it is still considered an “introductory price”, meaning Disney may raise the price again. 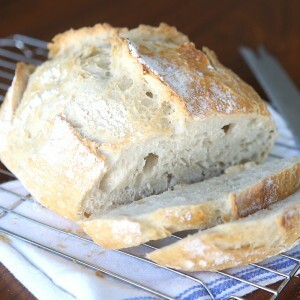 $15 per person per day can really add up for a large family. For us that meant an additional $90 per day on top of our park ticket costs, and that’s annoying. Once you stop thinking about the cost, however, MaxPass is pretty darn amazing. 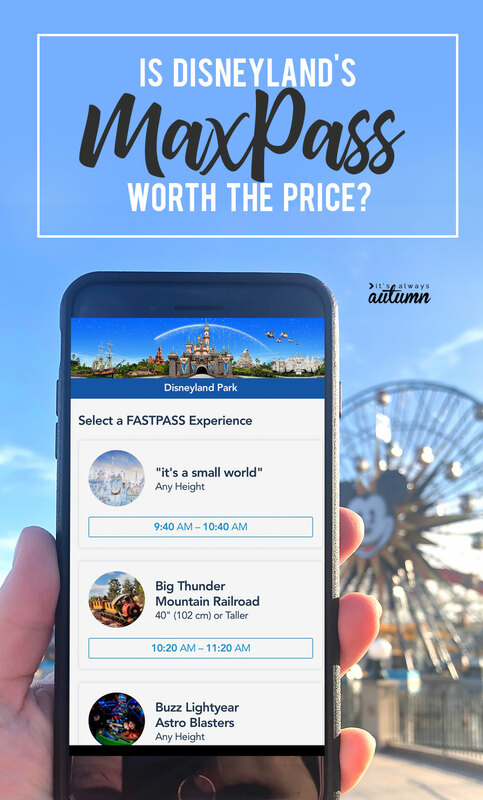 In your app you can view all of the available Fast Passes for attractions in each park (Disneyland and California Adventures). You can see when the return time for each Fast Pass attraction currently is, so you can decide which one you’d like to reserve. Just click on any of the available attractions to confirm Fast Passes for your party to that attraction. The app will tell you when to return to ride the attraction and when you can select another Fast Pass. 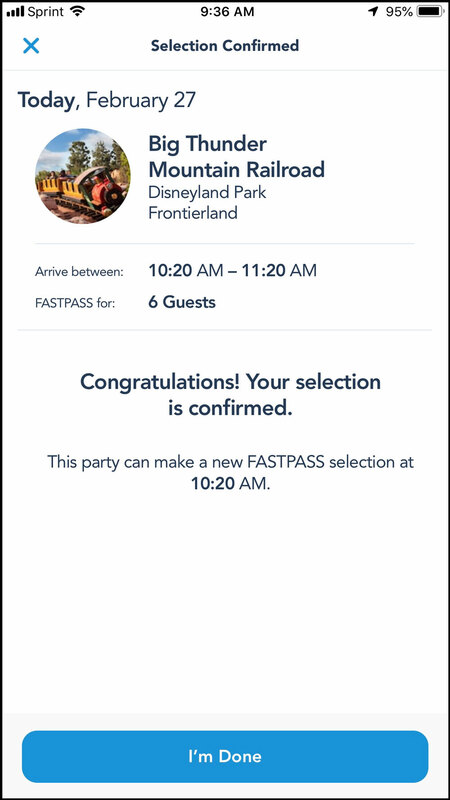 When your return window arrives, your Fast Passes will pop up on the app. Walk to the attraction and enter the Fast Pass line. Scan the Fast Pass for each person in your party and walk past all the people waiting in the Standby line. 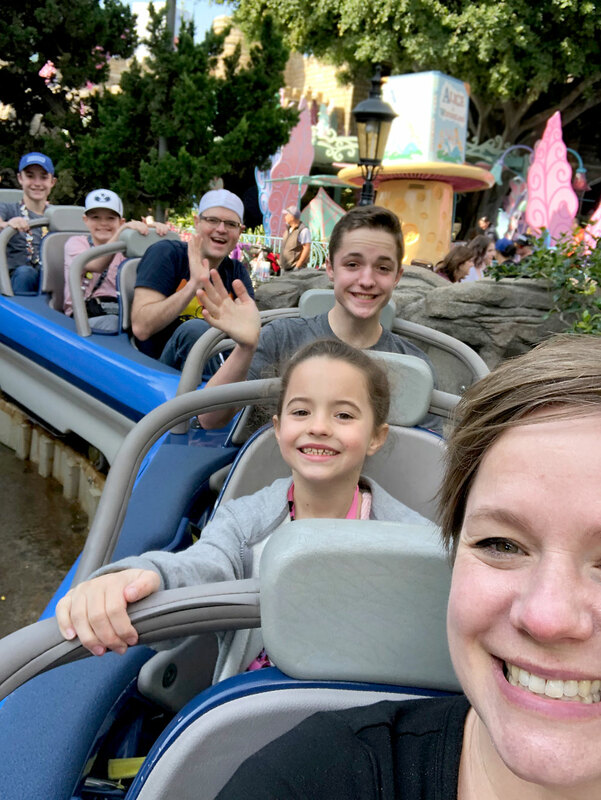 Hop on your ride and listen to your kids laugh (and remember why you wanted to come to Disneyland in the first place). Disneyland MaxPass: When can you get another Fast Pass? If your return time window is within the next 90 minutes, you can get another Fast Pass at the start of the return time. Example: if it’s 9 am and you get a Fast Pass that says return between 9:45 and 10:45, you can reserve another Fast Pass at 9:45 even if you haven’t used the first Fast Pass yet. If your return window is almost immediate, you will have to wait 30 minutes to get another Fast Pass. Example: if it is 10 am and you get a Fast Pass that says return between 10:15 and 11:15, you will have to wait until 10:30 to get another Fast Pass. If your return window is more that 90 minutes away, you will have to wait 90 minutes to get another Fast Pass. Example: if it is 10 am and you get a Fast Pass that says return between 1:10 and 2:10, you can get another Fast Pass at 11:30 am. Please note that you will not be allowed to get another Fast Pass to an attraction you are already holding a Fast Pass for until you have scanned the first one. You can get Fast Passes without having to be at the attraction. I’ve already covered this one, but let me reiterate – if you are a family that wants to ride as many attractions as possible, getting Fast Passes via MaxPass will save you thousands of steps a day. You can get Fast Passes even when you are out of the park. If your family likes to take a break midday to return to your hotel and rest, then this MaxPass perk is especially awesome. 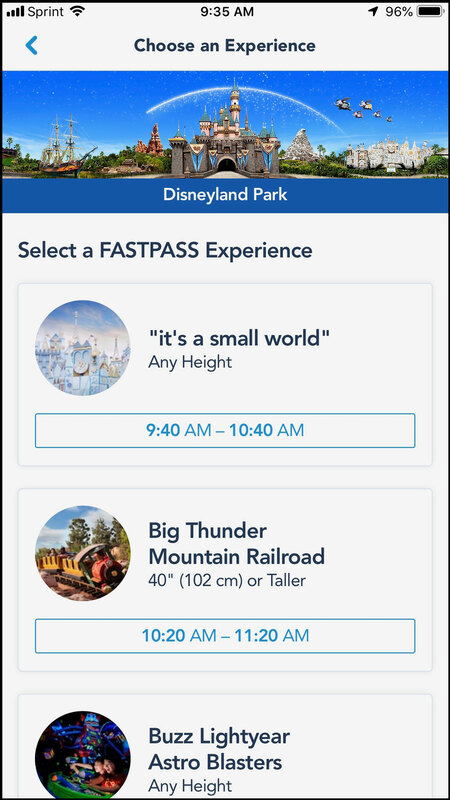 Once you’ve entered either park (Disneyland or California Adventure), you can continue to stack up Fast Passes on the app even when you are not in either park. That means if you take a long break midday to go to lunch or the pool or just rest in the hotel, you can continue to check the app and reserve Fast Passes as soon as they are available to you. You may be able to return to the park with 4 or 5 Fast Passes stacked up and ready to go (which is awesome since late afternoon/evening is when lines are longest!). This is just not possible to do without MaxPass. You can get Fast Passes for California Adventure while you are in Disneyland and vice versa. This is another option that is not possible with paper Fast Passes. If you plan to hop parks during the day, it’s SO nice to be able to view the Fast Pass availability and reserve Fast Passes in the other park. There are a couple very popular rides in California Adventure that run out of Fast Passes early in the day (i.e. Radiator Springs Racers, Guardians of the Galaxy, and Toy Story Midway Mania). 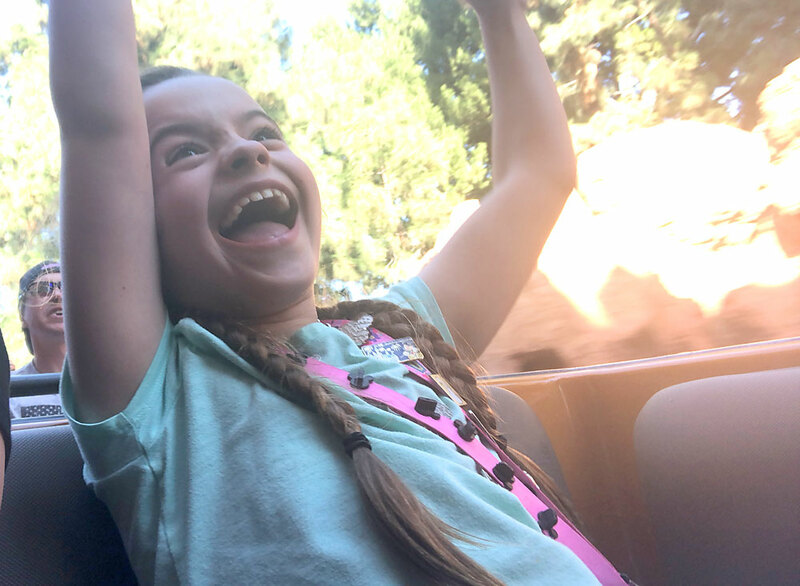 On our most recent trip we spent a morning in Disneyland riding attractions that weren’t too crowded and stacking up Fast Passes for the afternoon in California Adventure. We saved ourselves hours of time waiting in line! The MaxPass also includes the Disney PhotoPass. There are Disney photographers in the parks that will take photos for you. If you have the MaxPass, the photos automatically show up in your app. If you don’t, you would have to pay an additional fee to access these photos (as well as ride photos). On some occasions, the Fast Pass return time using MaxPass will be earlier than the return time for paper Fast Passes. I noticed at least two times that we were able to get Fast Passes through the MaxPass app returning 30 minutes sooner than what was issued on paper Fast Passes. The Multiple Experience Pass: One of the most frustrating experiences at Disneyland is when you’ve been waiting all day to use a Fast Pass to your favorite attraction and when it finally comes time to ride the attraction closes down for an hour or two, meaning your Fast Pass is worthless. That is definitely not a magical experience, and it has happened to us at least once a trip. Well, MaxPass fixes this problem! If an attraction you have a Fast Pass to closes for any reason, your Fast Pass automatically turns into a Multiple Experience Pass. 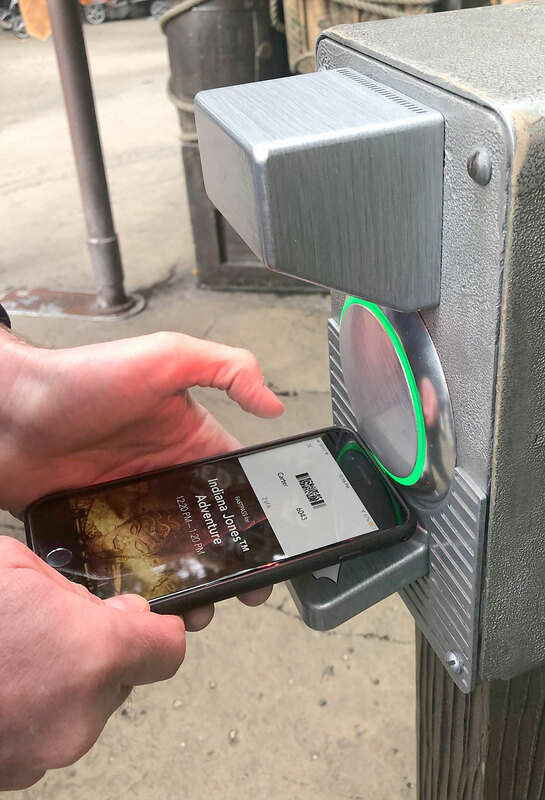 Now you can use it as a Fast Pass to any attraction in the park you are in that accepts Fast Passes, even to attractions that have already run out of Fast Passes for the day. That means you might get to ride a more popular attraction than the one you had a Fast Pass to in the first place! We had this happen twice during our most recent trip. Is Disney MaxPass Worth it? So bottom line, is Disney’s MaxPass worth the money? The short answer is yes, in most cases. The long answer is that it will depend on your family and what kind of Disney trip you’re looking for. You will definitely be able to ride more attractions with MaxPass than without, so if maximizing rides is a priority, then I’d say MaxPass is a must. But if your kids prefer meeting characters to riding attractions, or if you have younger kids who are more interested in the Fantasyland rides (most of which do not have Fast Passes), then there’s probably no need to spend the extra money. Additionally, if you are visiting at a less busy time, MaxPass may feel less “necessary” than it does in high season. However, Disneyland is still pretty crowded even during the “less busy” times. Our most recent trip was definitely at a “less busy” time but we still felt like MaxPass was definitely worth the cost. I know this post is long already, but I have a few more MaxPass tips to share! California Adventure has a couple attractions that run out of Fast Passes quickly. On days when Disneyland opens an hour before California Adventure, you can walk into Disneyland and immediately get Fast Passes for one of the most popular attractions at California Adventure. This just about guarantees you the first Fast Passes for those rides. Then you can walk back out of Disneyland and get in line at California Adventure so you’ll be some of the first people to enter that park. We used this strategy to ride Radiator Springs Racers twice in a row without waiting in line (once using the Standby line because we were among the first people in the park and then again using our Fast Passes). 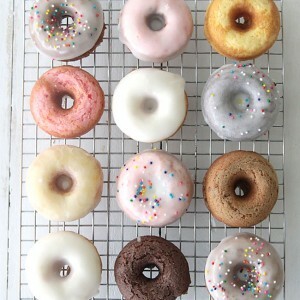 You whole party doesn’t have to get Fast Passes to the same attraction. The app allows you to pick Fast Passes for each person individually. You’re going to want to make sure your phone is completely charged at the beginning of the day AND bring a portable charger. Using the app all day long can easily drain your phone battery. Disney sells portable chargers but, like everything else, you’ll pay a premium to buy one there. 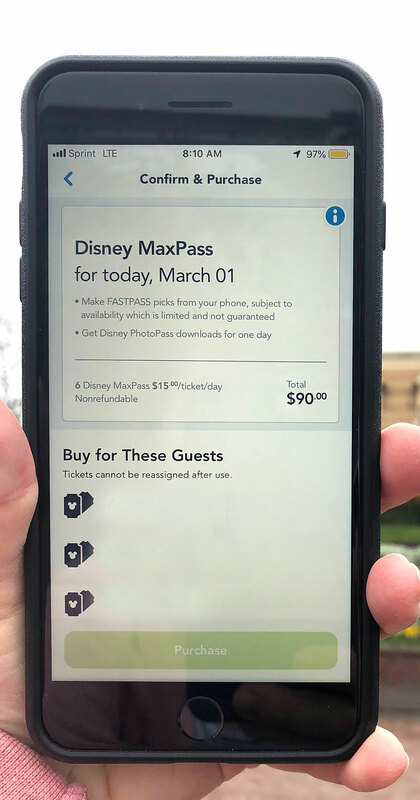 If you don’t want to spend the money on MaxPass for your whole party but you still want to access the Disney PhotoPass, just purchase the MaxPass for one person. At $15/day, it’s cheaper than buying the PhotoPass and gives you access to all your pictures! If you have questions about how to use MaxPass, this post at Undercover Tourist is a great resource for detailed explanations. 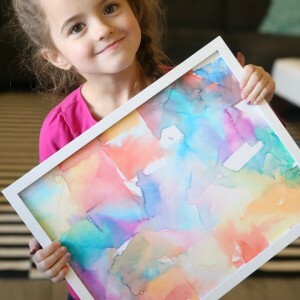 I hope this has been helpful! 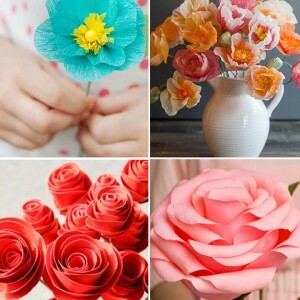 For more tips and tricks to make the most of your next Disneyland trip, visit this post: 37 Disneyland hacks for the best trip ever.